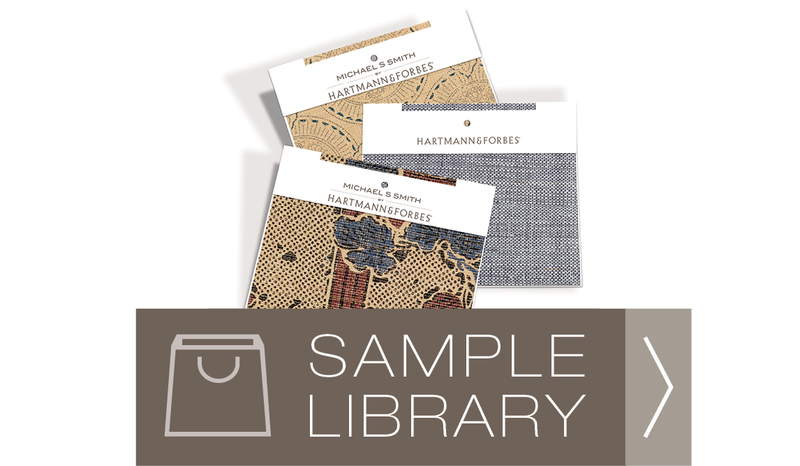 The quality, character and design of each Hartmann&Forbes product begins with the careful examination and selection of premium natural fibers. Working with local farmers within close proximity to our weaving facility, we select the finest rapidly renewable materials, using strict measures for color, texture and durability. After loom preparation, which includes dyeing, sun bleaching and hand tying each fiber, a loom master weaves our signature designs using a complex rhythm of warps and wefts. Custom shade finishing is done in our Portland, Oregon facility by skilled American craftsmen – each shade, drapery and top treatment carefully crafted to the designers precise requirements. We offer two distinct weaving methods to accommodate a broad range of design, lead time and cost requirements. Our approach is rooted in the notion that each project has unique demands and that our capabilities should service requests across this spectrum. While we offer a single level of finish quality, each process offers specific advantages. 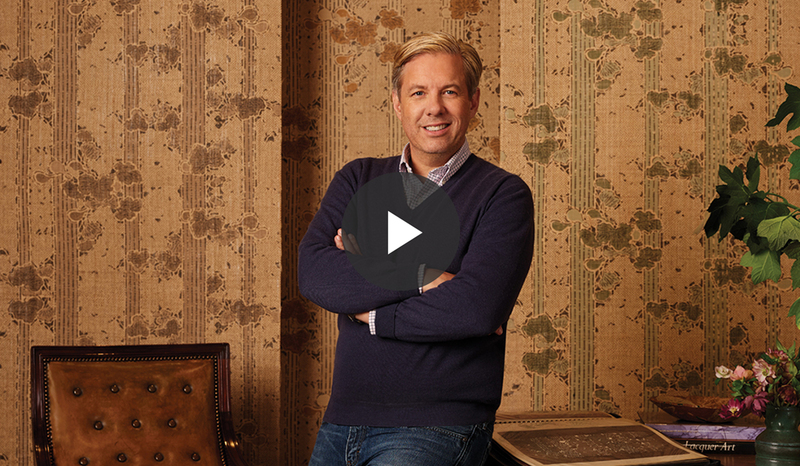 This method is a true made-to-order weaving and crafting process. Once an order is received, artisans prepare the natural fibers, which are then handwoven to the precise window dimensions. The hallmark of this method is the loom-finished edge — a meticulous technique of looping weft fibers at each edge, then shuttling them back through the loom to create a continuous warp-edge finish. This arduous weaving technique has a longer lead time, but delivers an exquisite shade-edge detail and wide seamless widths. This method is a weave-and-stock process. Fibers are prepared and woven into roll goods and inventoried in our finishing facility in Oregon. Once an order is received, craftsmen measure and precisely trim and tailor each shade material to size. The edges are meticulously stitched when necessary for a finished-edge appearance. Since TTS materials are pre-woven and in stock, it may have size limitations due to roll widths, but offers a shorter lead time and lower price point than WTS. An expansive range of weaves, designed in-house, that form the H&F core design aesthetic. An organic, modern mix of refined to rustic textures, hand loomed with artisanal technique to exquisite detail. Crafted of sustainable blends of grass fibers, including banana stem, ramie, arrowroot, river reed, jute, abaca, vetiver, palm, water hyacinth, walingi and bamboo. Offered in seamless widths up to 180." 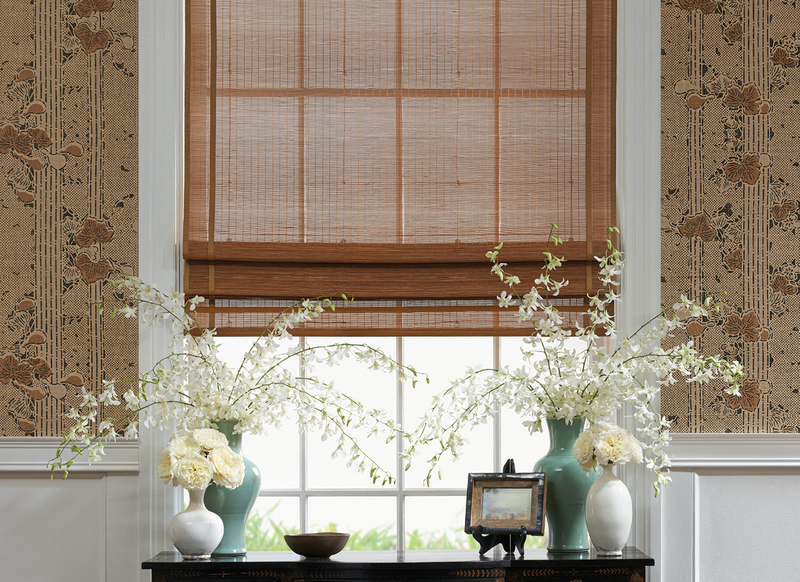 An unassuming, refined elegance defines this modern collection of hand-loomed wood-pulp fibers. Designed in textural patterns with soft tonal hues, inviting a serene and tranquil mood to interiors. Offered in seamless widths up to 150." A timeless textured collection made of legacy natural fibers exudes a relaxed and comfortable charm. 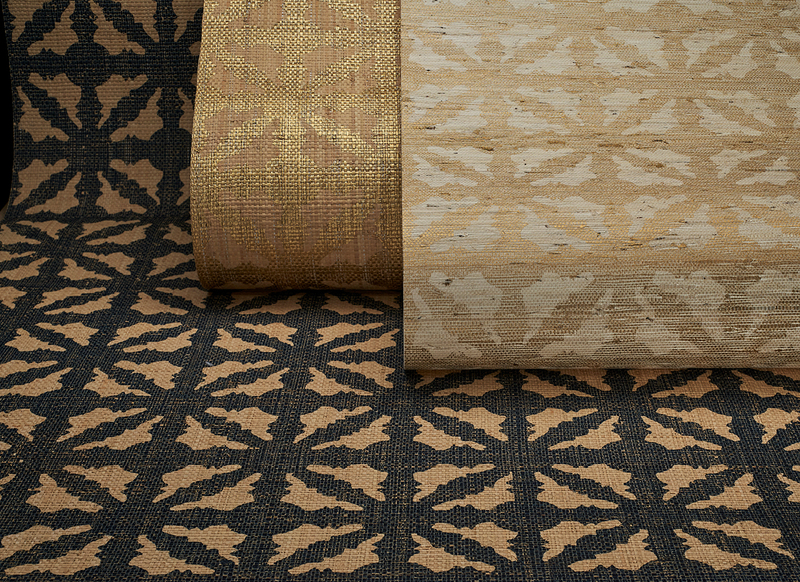 Jute, bamboo, river reed and sea grass are woven in a broad range of designs, from Japanese Miyabi inspired refinement to bold and chunky classics. Offered in seamless widths up to 120." A well travelled collection of wood-pulp fiber designs, capturing stories and techniques found in global weaving communities. The modern interpretations of historical patterns are influenced by Asian silks, Navajo weaves, European tapestries, Ottoman rugs and other weaving heritage. Offered in seamless widths up to 96." An artfully infused portfolio of weaves made of the inside peel of sustainable bamboo. Custom painted to order by local artisans in modern and traditional matchstick patterns. Available in standard or custom colors. Offered in seamless widths up to 120." A fresh translation of textural classics, the natural fabric collection offers hints of the exotic, while remaining grounded in the modern movement. Loomed in some of the world’s oldest and most revered textile mills, fibers are carefully spun and dyed to a rich and earthy color palette. Offered in seamless widths up to 114." Many of our linens carry the Masters of Linen mark, which guarantees excellence and 100% European traceability at each stage of processing. A collection of designs from man-made fibers woven to achieve peak performance characteristics including heat and glare reduction, UV filtration and privacy. Fabrics are durable, meet or exceed commercial fire standards and are virtually maintenance-free. Offered in seamless widths up to 118."